ABOVE: If you're staying in Venice for several days or longer, a vacation apartment can be an affordable alternative to a mid-priced hotel. The experience of living like a local instead of being a tourist 24/7. Europe's No. 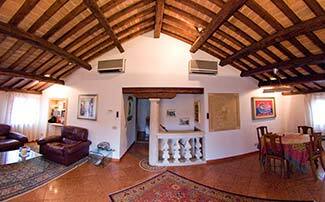 1 reservations service offers secure bookings of apartments in Venice's historic center and resort towns nearby. (For Venice proper, look for apartments in the districts of Cannaregio, Castello, Dorsoduro, San Marco, San Polo, Santa Croce, and on the island of Giudecca.) Note: Booking.com focuses on short-term rentals. For stays of a month or longer, see the links on the next page.